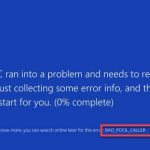 In this tutorial, learn how to fix system restore error 0x80070091 when trying to restore your PC to an earlier working time through a restore point in Windows 10. 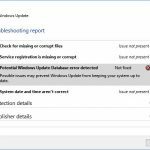 Lots of Windows 10 users have recently reported that the system restore process fails to complete. System Restore is very important in saving you from a PC disaster and recovering lost data after the malware infection. However, if you’re not able to Restore your system then all these features are of no use. Step 1. First thing first, Boot into Safe Mode on Windows 10. Step 3. 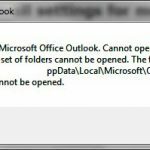 When Command Prompt window opens, run these following command below one by one. Step 4. 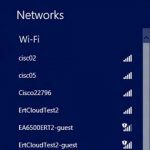 You can now close Command Prompt window and reboot back into Windows 10. 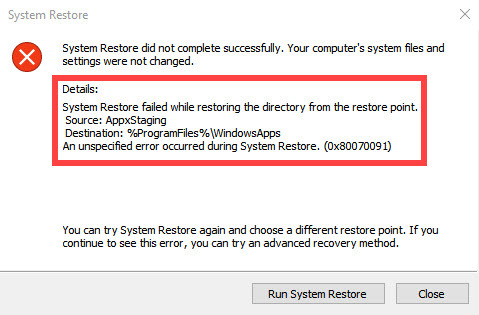 And then check if System Restore error 0x80070091 has resolved. Hope something helps you. 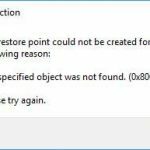 Thank you for visiting my blog to learn how to fix system restore failed while restoring the directory from the restore point (0x80070091) in Windows 10.